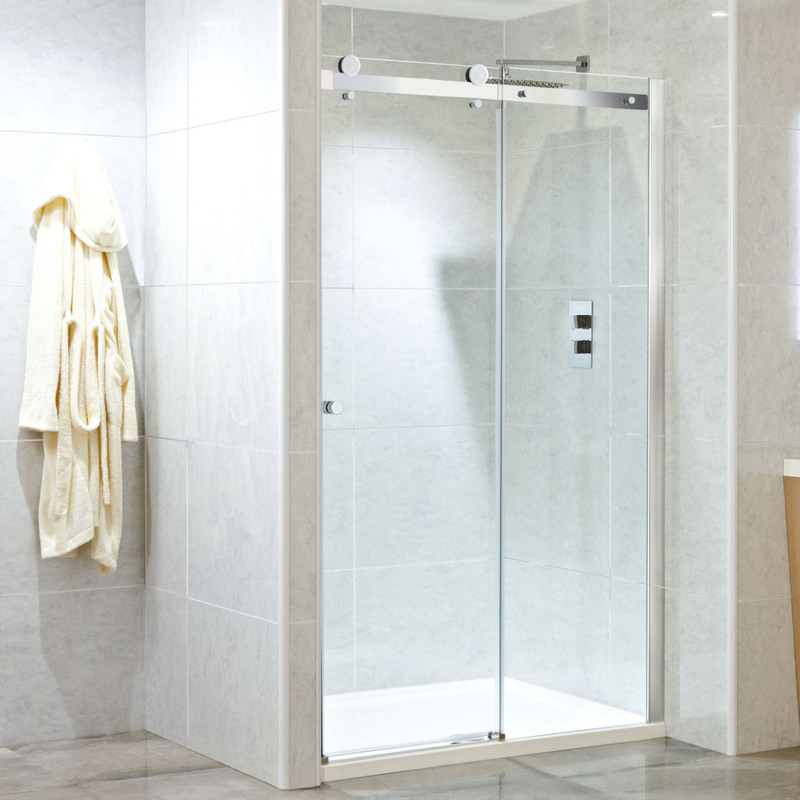 The superior styling of this frameless shower door will add the wow factor to any bathroom. 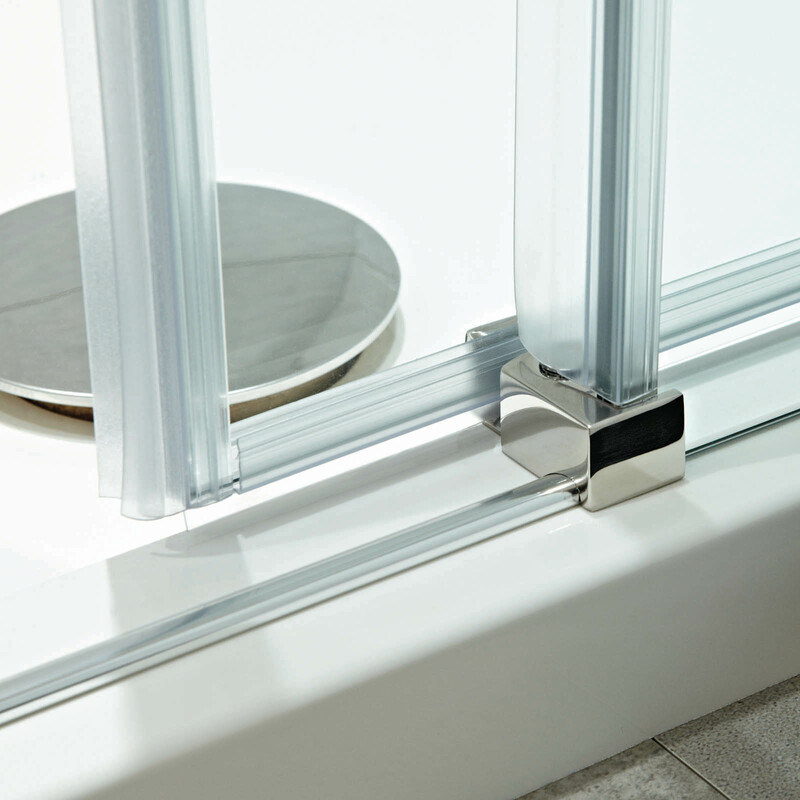 Phoenix has made a real piece of eye candy out of the huge oversized exposed rollers, which quietly roll along the top stainless steel support bracket. These will never need replacing. 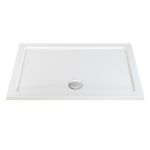 The whole unit is a minimalist affair with the optional side panel joined top and bottom with simple discreet brackets. 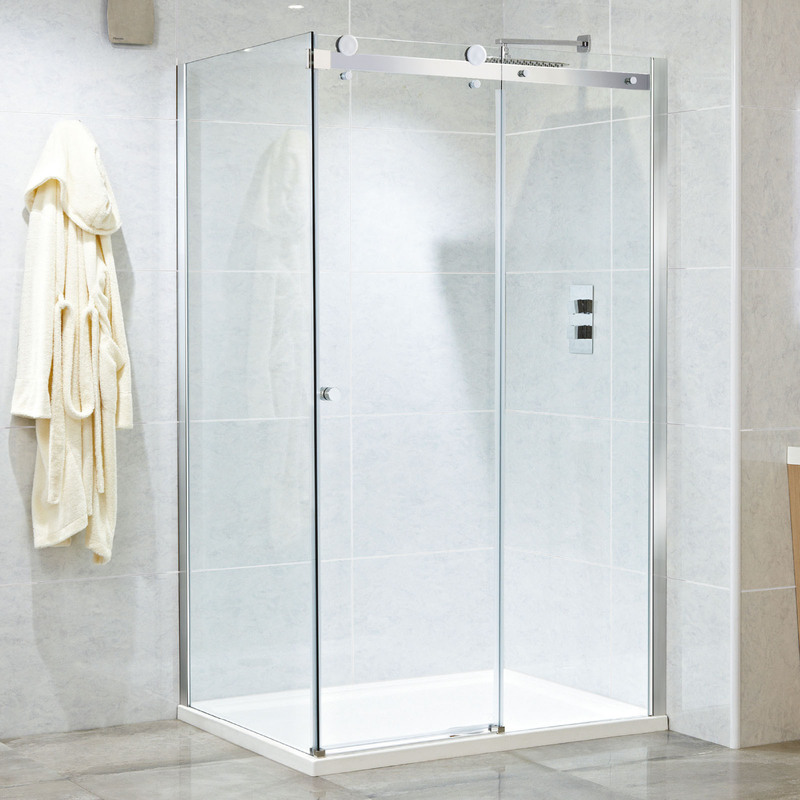 The tall expanse of 8mm glass creates a robust and attractive showering space. 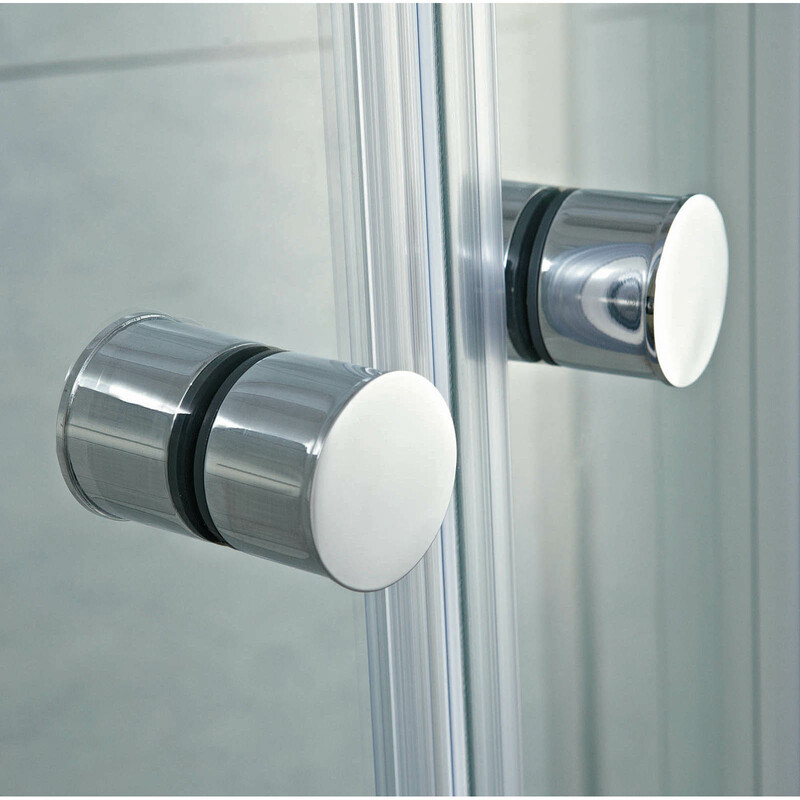 Phoenix has also given the glass an easy clean treatment so no more scrubbing glass with sponges and scourers. This frameless sliding door is available in 4 popular sizes ranging from 1000mm to 1400mm with the option of 4 different side panel sizes if wanting to install into a corner.